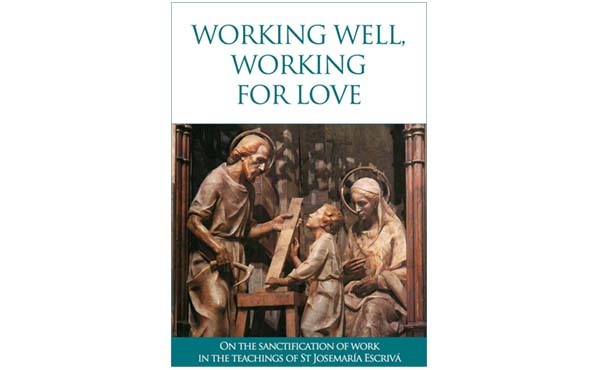 The sanctification of work is at the heart of the message of Saint Josemaría. 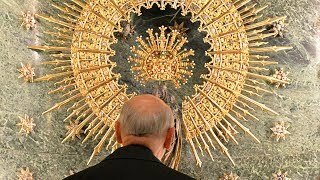 But what does it mean to sanctify our work? How is it done? We offer an eBook for free download with sixteen essays on this topic. Millions of people go to work each day – some unhappily, if they don’ t like what they’re doing or it doesn’t interest them; others only concerned about the pay they will receive and the financial rewards; while others are an example of what Hannah Arendt calls the “animal laborans”: workers who have no other objective or aim than the very work that life has placed before them and which they carry out by natural inclination or by inertia. At a higher level is the figure of the “homo faber,” the person who works with a wider view, with the aim of making a business or a project a success – sometimes seeking personal affirmation, but often with the noble aspiration of serving others and serving society as a whole. Christians ought to be in this last category, and even higher. If they really are Christians, they will not see themselves as slaves or as paid workers, but as children of God for whom work is a vocation and a divine mission, to be carried out for love and with love. In his celebrated address to the College des Bernadins in 2008 in Paris, Pope Benedict XVI showed that Christianity holds the key to understanding the meaning of work, when he said that man is called to continue the creative work of God, and that he perfects creation by working with freedom, guided by wisdom and love. The very Son-of-God-made-man worked for many years in Nazareth, and “in this way he sanctified human labor and endowed it with a special significance for our development” (Pope Francis, Laudato si’, 98). The last sentence comes from St Josemaría Escrivá, the saint who taught us to “sanctify our work”, turning it into nothing less than the “work of God.” The pages of this book are inspired by his message, or rather, they are inspired by the message of the Gospel, since St Josemaría did nothing other than to teach us the words and life of Jesus, above all in his years spent in Nazareth working with St Joseph, from whom he learnt to work as an artisan, and with Our Lady, who served him with her work in the home. The picture of Jesus, Mary and Joseph which appears on the cover of this book is taken from a photo of one of the scenes of the alabaster reredos in the Shrine of Torreciudad in northern Spain, which is the work of the sculptor Joan Mayné. In that picture the reader is able to contemplate everything which is contained in this book, to “enter” into that scene as one more member of the family of Nazareth: as a child of God. That house and workshop are the school where we can learn to turn our work into prayer, into a “Mass” that gives glory to God and redeems the world, making it a better place.